Good location near to new DT Line Jalan Besar Station. Location of the hotel is great. 3 MRT stations within walkable distance. Plenty of Indian restaurants within easy access. 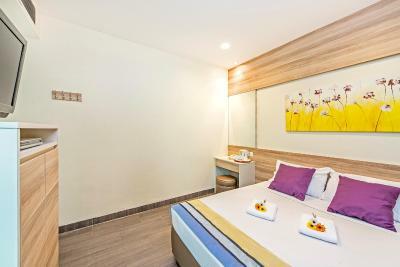 While the cost for room is very high when I compare with similar ones in other cities, I still believe it's a value for money since other hotels in the same locality charge more than Hotel81 Dickson. Exceeded our expectations as a budget hotel in SG. 4 of us took 2 rooms here judging by my experience of staying at their sister hotel just a few roads away. Clean rooms and toilet. The staff cleaned and replaced the sheets, covers and bathroom supplies every day. Perfectly hot shower and a extremely helpful reception. It was close to public transportation. Close to eating places. Beds are okay. Perfect location in Little India for fabulous street food where you can still get a meal served on a banana leaf! Nice hotel, close enough to the subway. I would definitely go back! 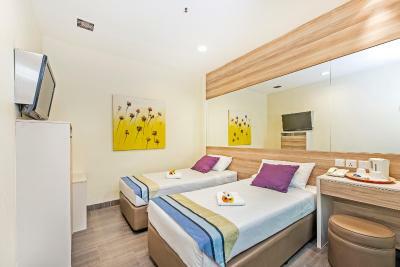 The professional staff, the strategy position (200m from jalan besar station and rochor station), near bugis street and little india with many good restaurant with affordable price. Disappointed by the size of the room. But everything was there including a comfortable bed, small table with a tea/coffee maker, TV with internat’l news, very small cabinet for clothes, and some wall hooks. But the room size was very off-putting. Large ceiling to floor window helped. Everything worked including shower and hot water. Daily housekeeping was a pleasant surprise. Location in Little India was ideal for us. 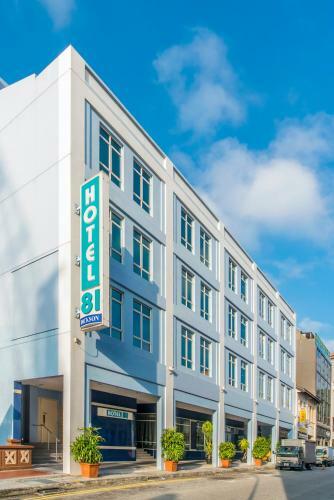 Hotel 81 Dickson This rating is a reflection of how the property compares to the industry standard when it comes to price, facilities and services available. It's based on a self-evaluation by the property. Use this rating to help choose your stay! Surrounded by the charming shops of Little India, Hotel 81 Dickson offers affordable rooms with free Wi-Fi. It is a 10 minute walk from the electronics paradise of Sim Lim Square and Bugis MRT Station. 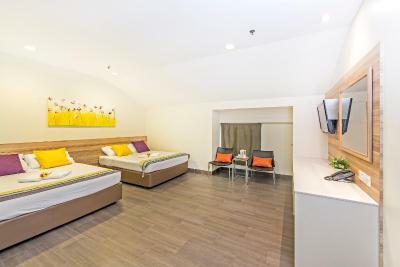 Dickson Hotel 81 is a 15 minute walk from the numerous shopping options of Suntec City and Raffles City Shopping Center. 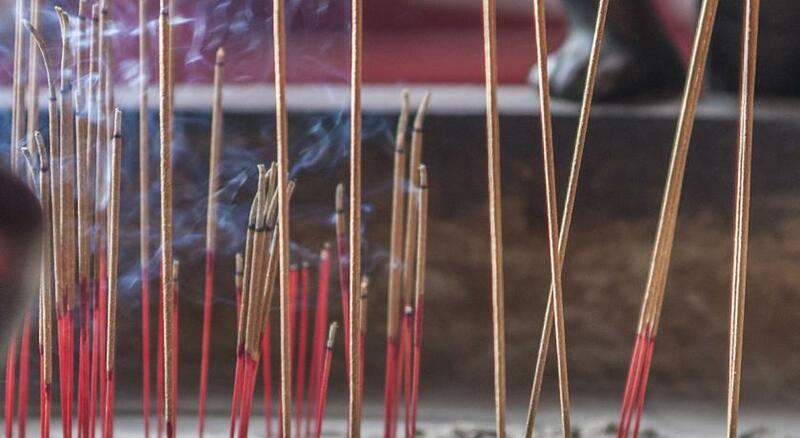 It is a 20 minute drive from Changi International Airport. Featuring modern, light wood furnishings, air-conditioned rooms come with a TV, tea/coffee-making amenities, and a hairdryer. 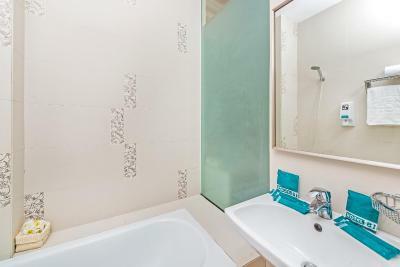 Each has a private bathroom with shower facilities. Explore Singapore’s sight with the tour services provided at Hotel 81. The staff at the 24-hour front desk can also attend to luggage storage needs. When would you like to stay at Hotel 81 Dickson? Featuring a window with views of the district, air-conditioned room includes free WiFi access, LCD cable TV and private bathroom. 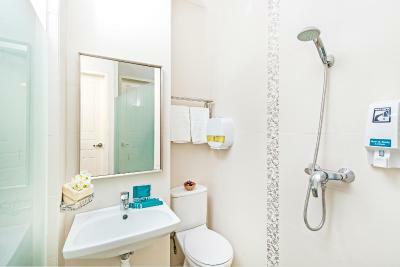 Air-conditioned room with free WiFi access, LCD cable TV and private bathroom. This room does not have a window. 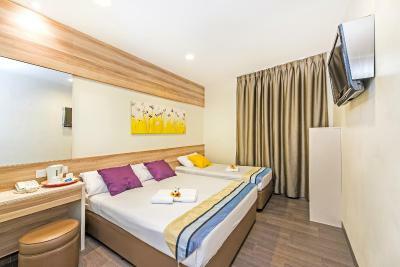 Basic air-conditioned room with free WiFi access, LCD cable TV, tea/coffee making facilities and a private bathroom. Sleeps up to 3 guests. Please note that rooms with windows and a bathtub are subject to availability. 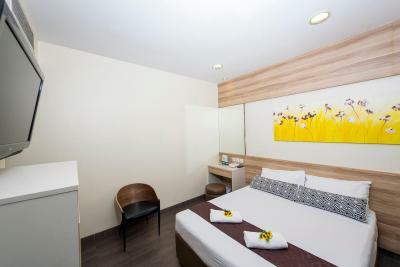 This air-conditioned room includes free WiFi access, LCD cable TV and private bathroom. 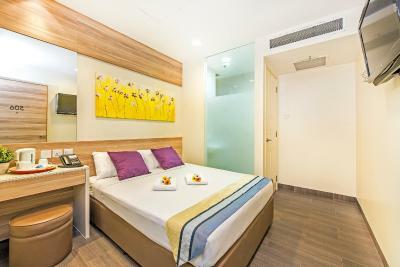 Featuring a window, air-conditioned room includes free WiFi access, LCD cable TV and private bathroom. Hotel 81 Dickson is accessible to eateries, Mass Rapid Transit (MRT) and bus-stops. Soak in the local culture, hop onto a bus or train, and dine at the nearest coffee shop or food centers; shop at the city or the shopping malls in the suburbs. House Rules Hotel 81 Dickson takes special requests – add in the next step! Hotel 81 Dickson accepts these cards and reserves the right to temporarily hold an amount prior to arrival. 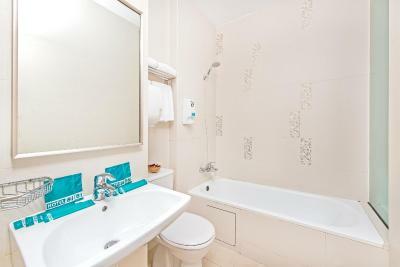 During the booking it was confirmed a double bedroom with a view. My room number was 418. No window in room and no view. Always a wet and damp smell in room. No refrigerator in room. Failed to understand what kind of Upgrade was given to me when I requested for during reservation made. only thing is the hotel staff don't help us to carry the luggages to the room.. The room sizes are small however got all basic facilities.water bottle for two persons should be given atleast in each room per day. Breakfast is also not included with the rates which could have managed with the property as other properties are providing that. 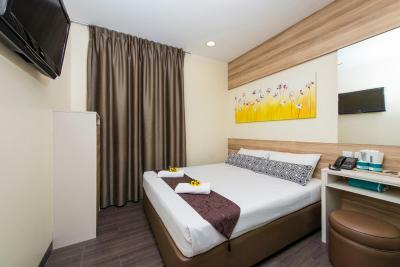 The location is excellent and we'll connected by MRT Station -jalan bensar,Rocher and little India.Market places -Little India and Mustafa and other budgeted market places. Staffs are very cooperative . Very Comfortable stay and the Staff were Very Nice. Would like to stay here in future as well. Room is basic and small. Noise at the corridors from the guest during midnight. 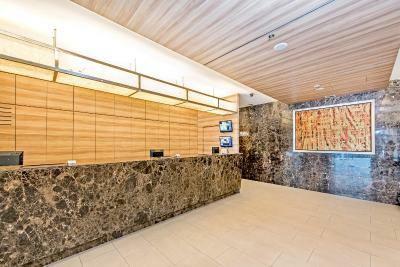 Quiet vicinity, near work place, accessible to convenience store, and within walking distance to a popular shopping mall and a weighing scale for the baggage at the lobby. The rooms are very small. Bedsheets were clean but had small tears and holes ( looks like cigarette ash burns). Toilet walls had few spots with black mould growth. Our rooms were on the top floor and had a constant noise from Air-conditioning. I am not sure if lower floors have the same problem. Sound proofing is not so great, we could hear voices of people from neighbouring rooms. Very noisy in the hotel at night due to the compactness of rooms and small space between rooms. Difficult to control air con so could do with a filter service presumably. Location good. Many options for eating and interesting Little India Cultural area. Basic hotel but provided value for money. Easy journey back to the airport. Staff helpful.